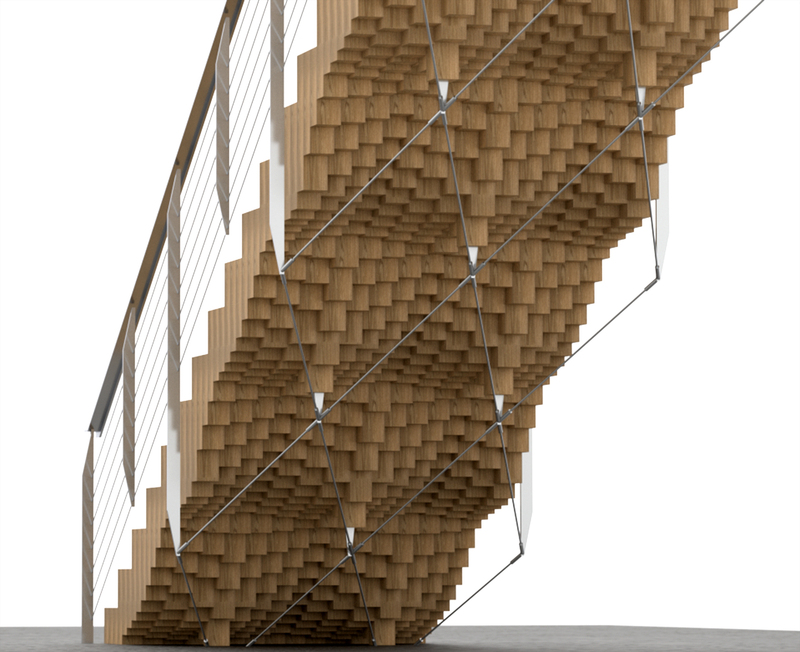 The End Grain Stair research project has become an exploration of optimization and parametric design processes in the pursuit of a residential staircase. Beginning with the simple concept of a stair being an assembly of 4×4 posts, the design evolved through the parametrization of the extrusion of the posts linked to the output of its own finite element analysis. The analysis produces a stress map on a sloped plane which is probed at the centerlines of the posts. The value of stress drives the bottom elevation of each post creating a three dimension terrain of the structural output.